Pegg with a Border Leicester lamb. Pegg started raising registered Border Leicester sheep in 1994 after spinning some of the curly locks and falling in love. 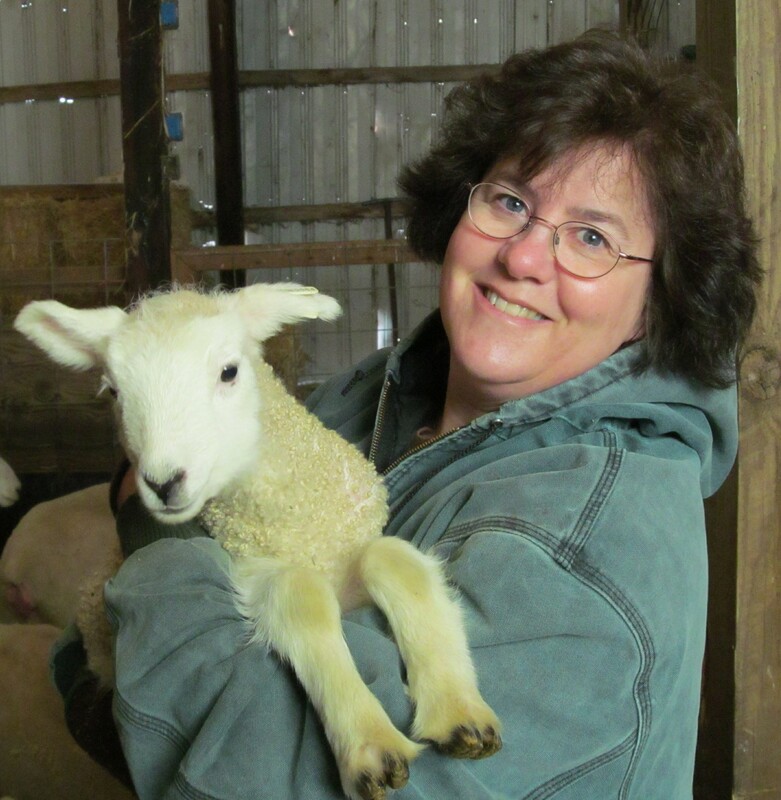 She raised this breed until 2015, when an impending move due to her husband’s employment caused her to sell the pregnant ewes. Her husband worked on the opposite side of the state for 13 months. Now they are back under one roof and in July 2016 several lambs from her original flock will once again populate Twin Willows Farm!